Establishing special connections through blogging is one thing, however having the opportunity to meet in person is another. 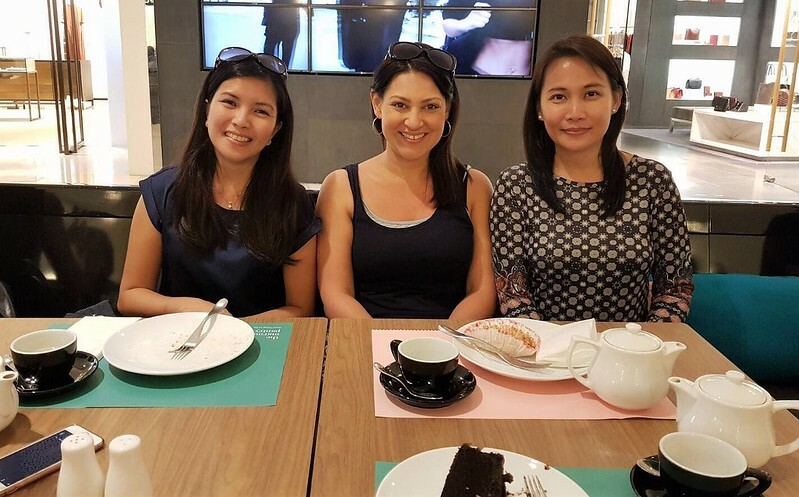 On our recent trip to Singapore, I had the pleasure of meeting the lovely Amor from We Travel Happy. Having only known Amor for a few months, a special connection developed instantly. With quite a lot in common, we followed each other’s stories always taking the time to chat. A few weeks before arriving in Singapore I made contact with Amor and we agreed to meet for a coffee. I was not apprehensive at all about meeting Amor, in fact, I was quite excited and couldn’t wait to see her in person. With the assistance of social media, we met on Orchard Rd at a shopping mall. I was not surprised by our reaction towards one another. It was as if we had known each other for years! It was a strong, familiar connection. To my delight, we were joined by another blogger friend of Amor. 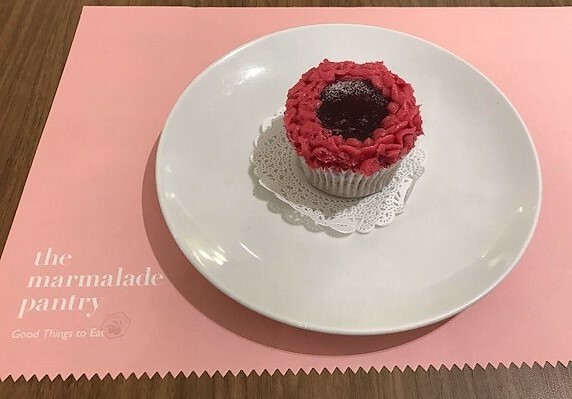 Karen met up with us at the iconic ION shopping centre and we headed up the escalators to a cosy café, The Marmalade Pantry. 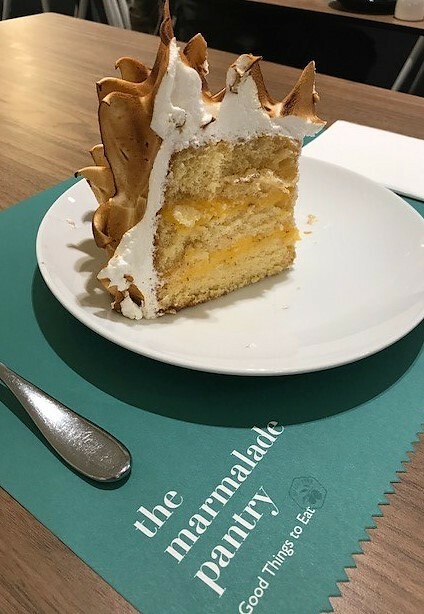 Upon Amor’s high recommendation of The Marmalade Pantry, we indulged over delectable cakes and refreshing tea for our afternoon meeting. Chatting continuously like young schoolgirls, we enjoyed each other’s company, discovering as much as we could about one another, within the short period of time we shared. Thank you, Amor, for your hospitality and your friendship. Check out the latest reviews and lowest prices for Singapore on TripAdvisor here. I have loved meeting my blogging friends. What a wonderful meet up you had! I’m grateful that Amor has invited me to the meet up with you. I agree, it’s one thing to connect with fellow bloggers online and it’s even better when you also click in person. You’re such a nice person and I’m glad we 3 hit it off. Time is not enough when you’re having fun. Hope to see you again soon! Totally agree Karen. I definitely look forward to the next time we can meet again. Haha, yes I had to include those pics of the cakes!!! Meeting a fellow blogger must be one of the best experiences. So glad for you. That is so awesome you got to meet! Isn’t it wonderful the friends you can make through blogging!! So nice you got to meet up. It’s like finding our tribe online, and hopefully we get to meet them IRL one day like your experience. Yay! Lorelle, this is so awesome. Loving connection is a huge part of forgiveness. And gratitude for the little things. You are fantastic – and I love the picture of the 3 of you. 🙂 I’ll contribute this for Forgiving Fridays this week. Beautiful. Awesome! Thanks, Lorelle. ❤ Sending you blessings. Lovely photos, Lorelle. I have met a blogger friend whilst visiting another country! It was a great experience and so interesting that we felt like old friends, somehow. So it was interesting to read that you connected so well with the girls in Singapore. Looking forward to catching up with you at some stage. How wonderful Joy.Did you plan to meet before you left? What delicious fun! The friends I’ve made online is one of my favourite things about blogging. Meeting online friends offline and in real life is just the best! The thing about meeting blogging buddies in real life is that when you meet, you “know” them already! I love that we foster such wonderful friendships through our blogs! Yay!!!! 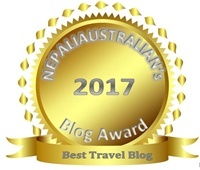 I rarely meet up with other travel bloggers, but when I do, it’s always a special experience and I realize I should do it more. Thanks for sharing! It sure is a special experience. One I will always remember.